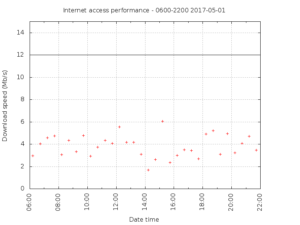 I have for many years measured broadband Internet access service performance by measuring the transfer rate for a single HTTP download which is scheduled regularly. 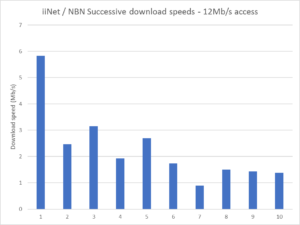 Since moving to iiNet / NBN about 6 months ago, I have had difficulty reconciling apparent workstation performance with the measured download speed. 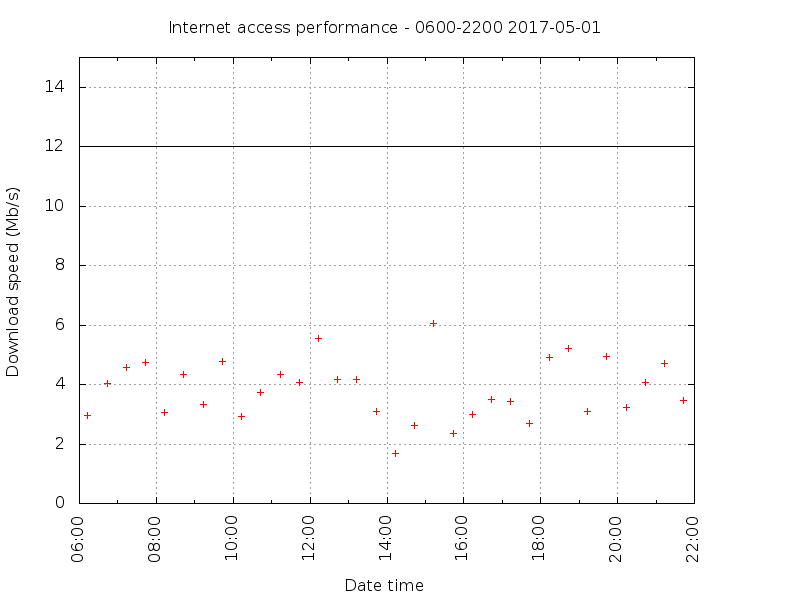 During investigation of variation in download speed measurements, it became apparent that in the absences of other network traffic, the first download was faster than further downloads within a short space of time. The above chart shows the download speed on 10 downloads, each download ran for 5s and there was a 2s pause after completion before the next download was started. 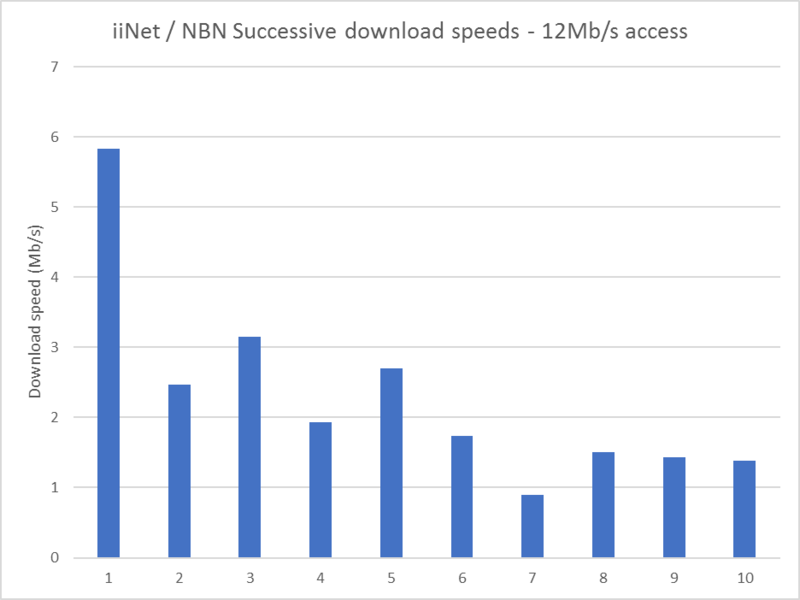 The file downloaded is one nominated by iiNet for download speed tests and is internal to their network. The first transfer in this cluster ran at 5.8Mb/s (about half of the ‘headline’ access service rate). The following nine were between 0.9 and 3.1Mb/s, averaging 1.9Mb/s. This behaviour is reliably reproduced on subsequent tests. It may be a result of the MPLS network, it may be some clever management of what you see vs what you get. To better capture network performance, I have changed by measurement strategy to perform a 2s download, then wait 2s after it is completed, then perform a measured 5s download to calculate a more realistic download speed. Above is a plot of a day’s tests using the adjusted algorithm. The median speed is 3.9Mb/s, less than a third of the ‘headline’ rate. Little wonder that we need intervention as announced by the competition regulator, the industry cannot regulate itself effectively.